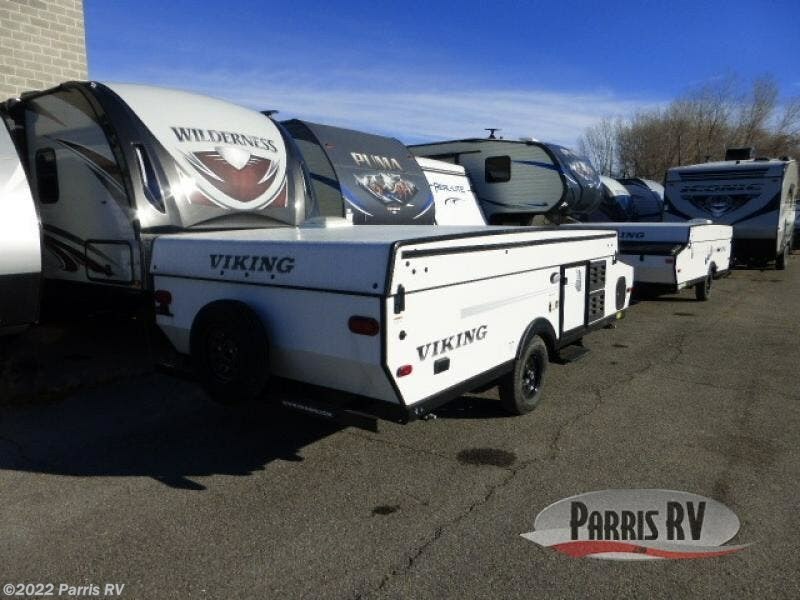 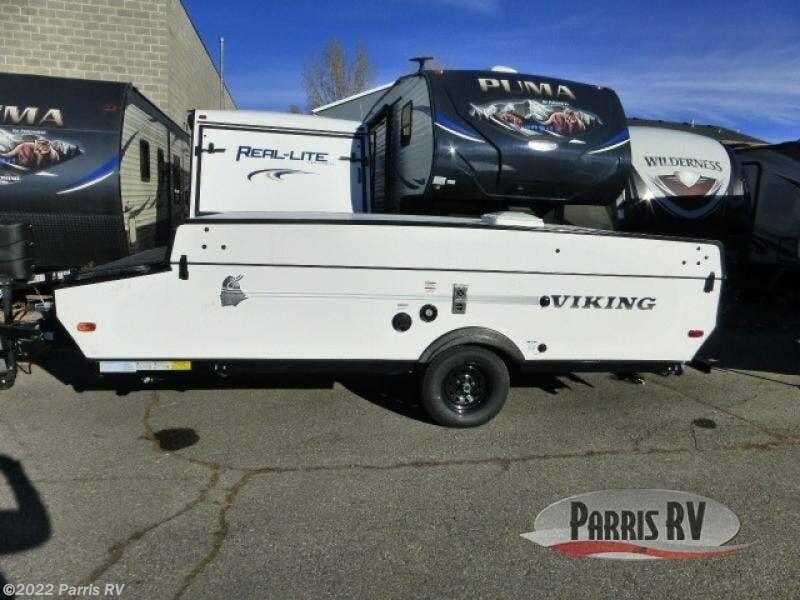 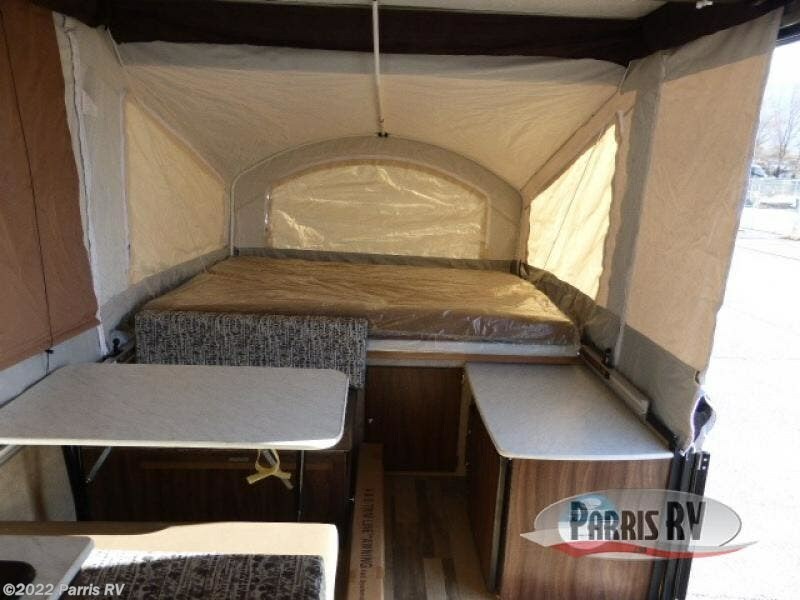 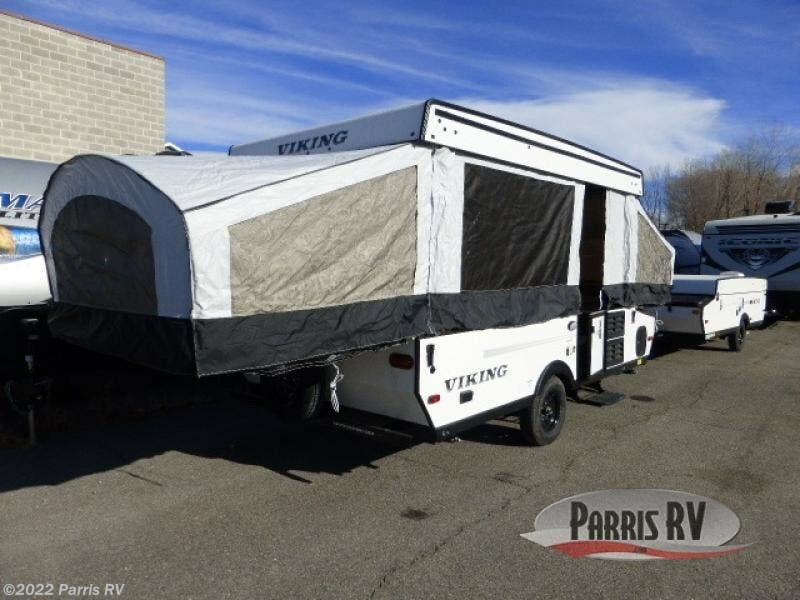 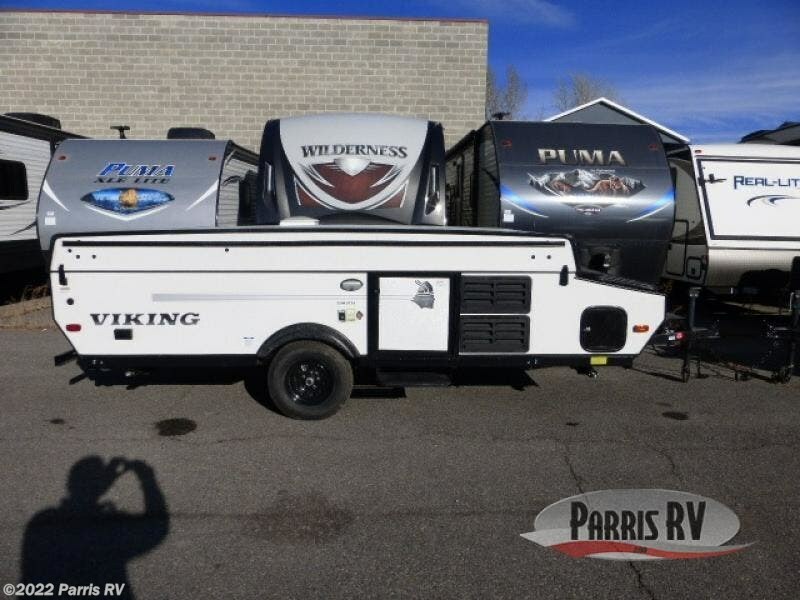 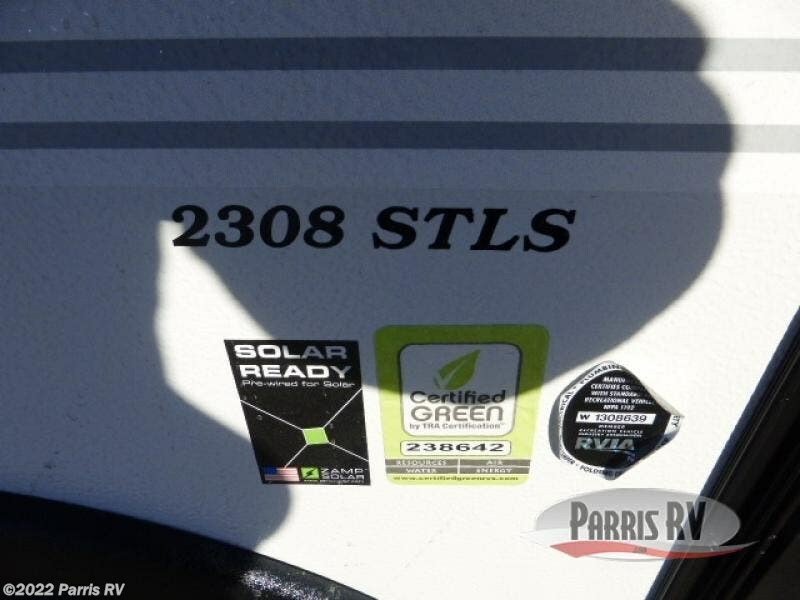 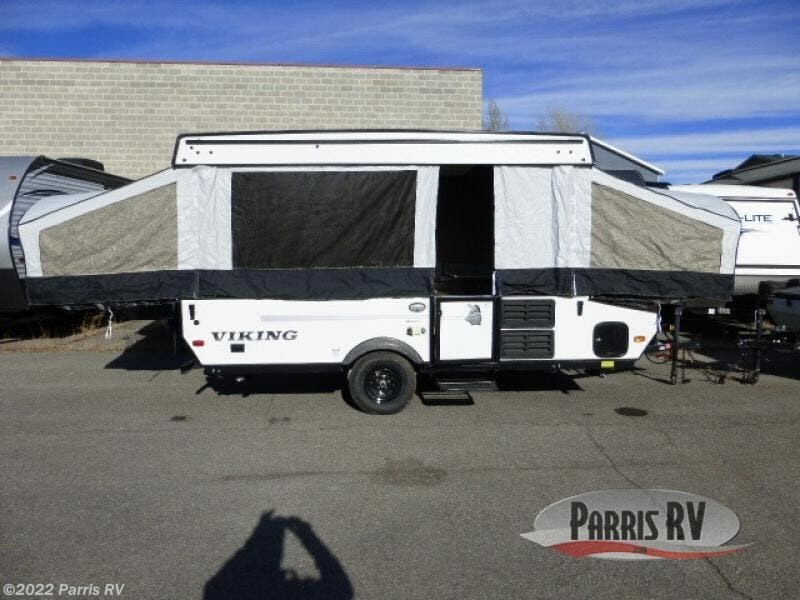 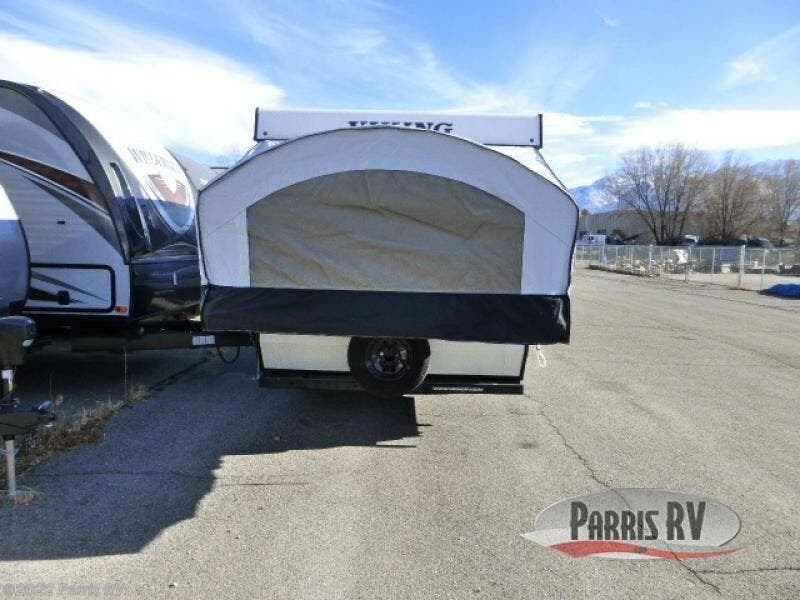 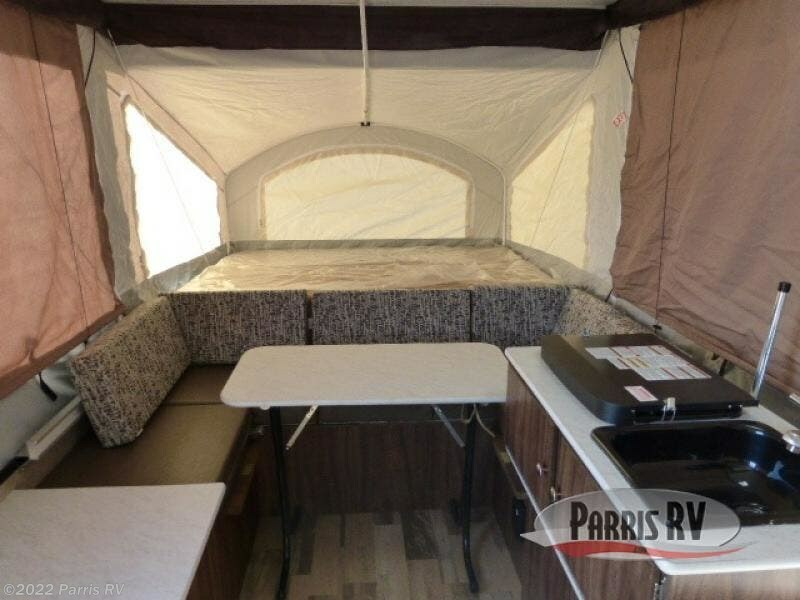 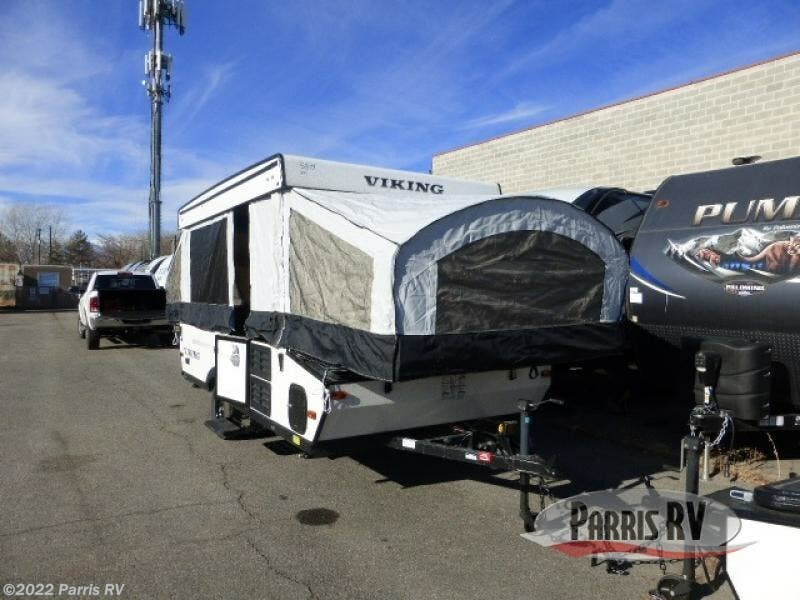 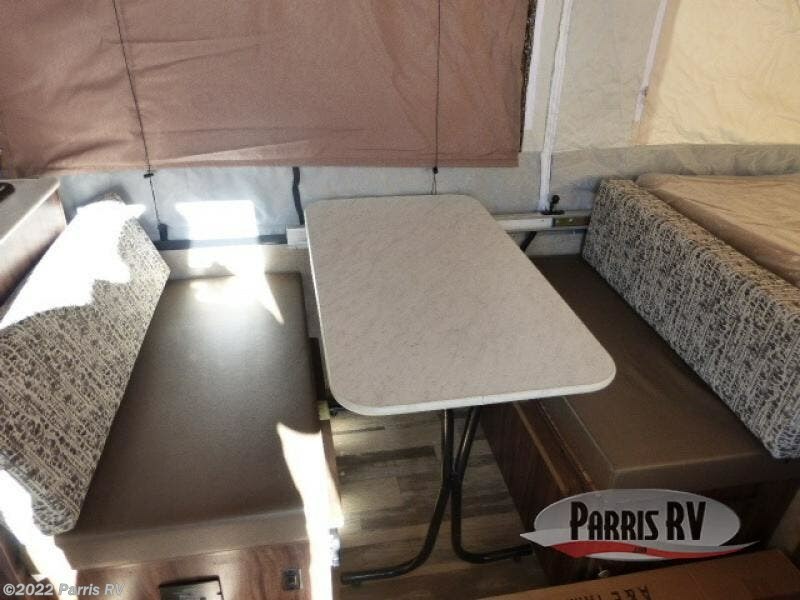 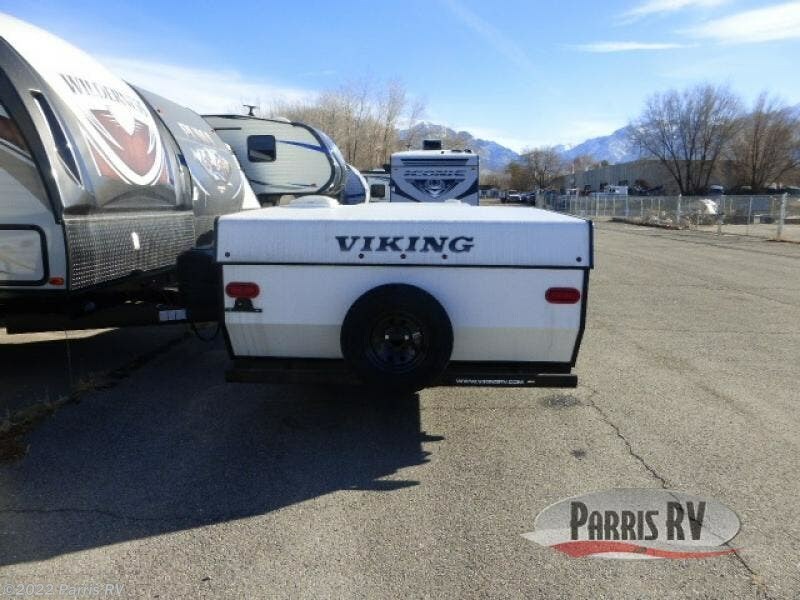 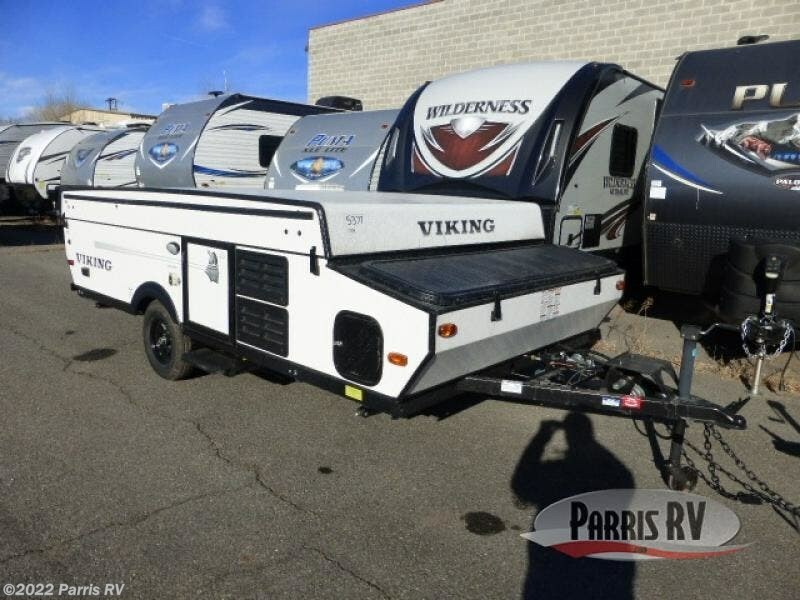 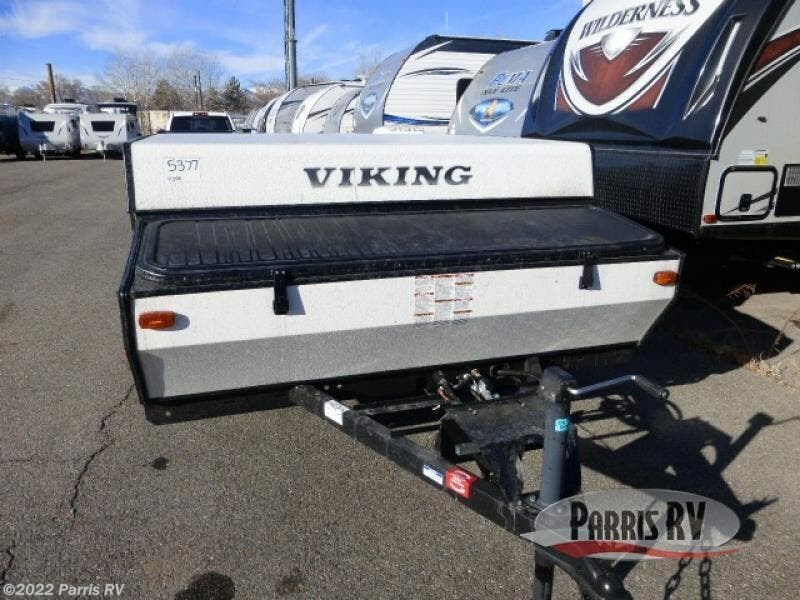 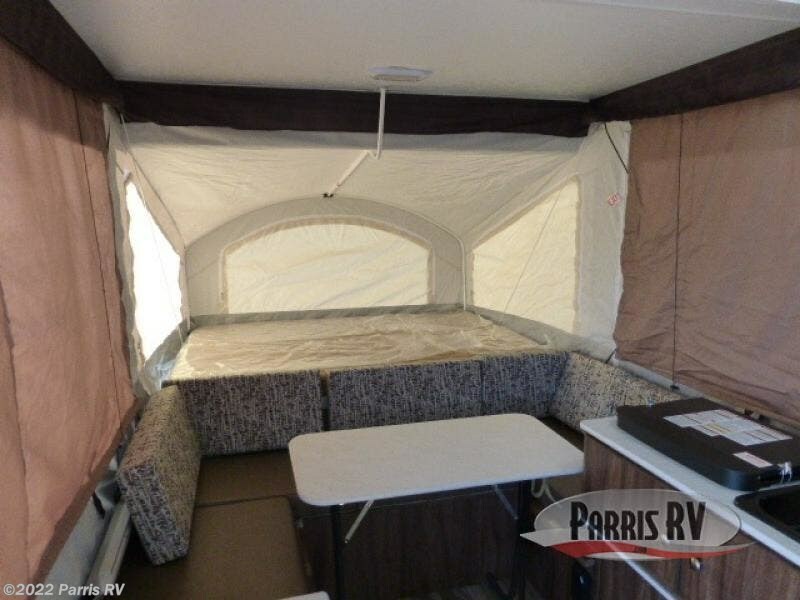 For the family who enjoys camping and the flexibility to roam, come check out this Viking LS Series pop-up folding camper. 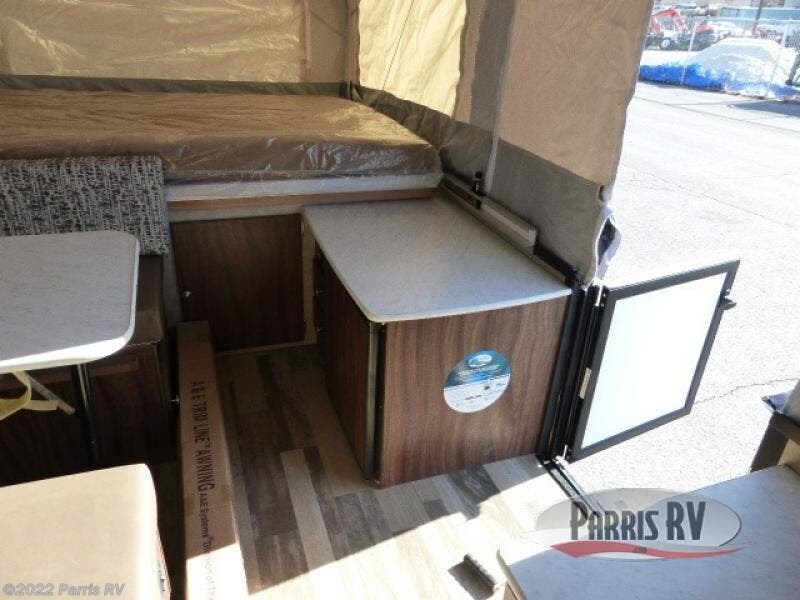 Along either side of the entry door are storage cabinets, and almost straight in front of the entry door is a booth dinette where you can gather around and enjoy a cup of coffee. 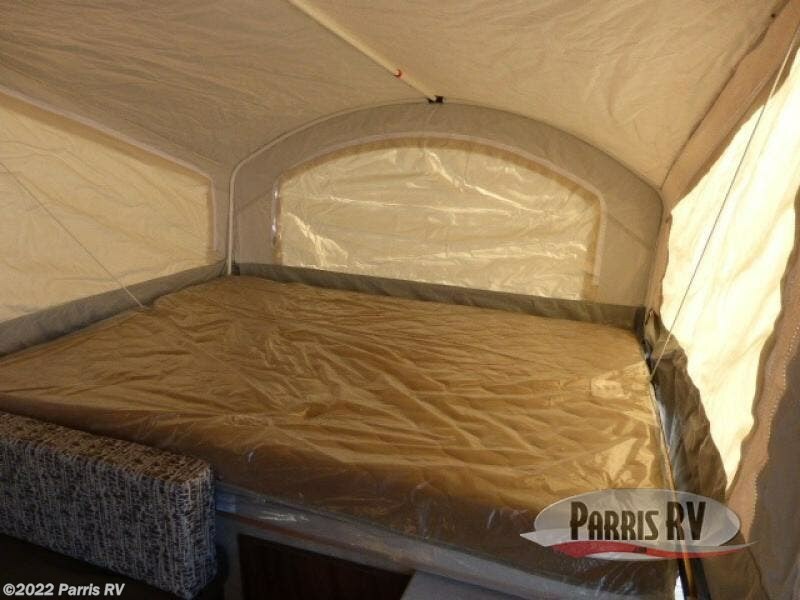 At night this area can easily convert into additional sleeping space, giving this model enough space to sleep seven. 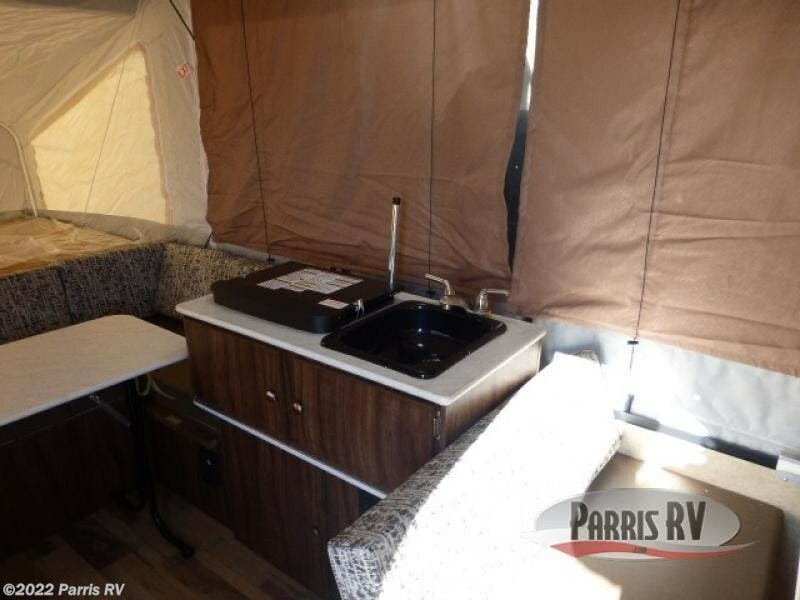 You will also find a nice little kitchen area with a single sink, 1.9 cubic foot Dometic refrigerator, and a two-burner range.